Welcome to website of RezPack! 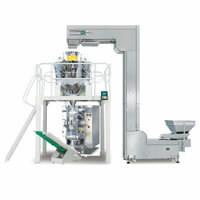 RezPack provides an extensive line of vertical packaging machine. The following information is about solid packing machine and large solid packing machine. 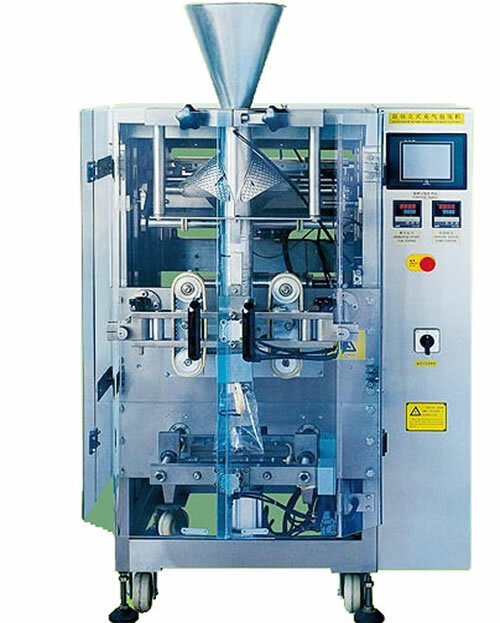 The two kinds of vertical form fill seal machine, or vertical packaging machine, share applications and a list of features, specified as follows. The solid packing machine and large solid packing machine are suitable for all kinds of grains and solids, like candies, nuts, raisins, peanuts, melon seeds, nuts, potato chips, chocolate, biscuits, and more. A.	RezPack solid packing machine and large solid packing machine provide low cost high gain, high speed and efficiency. B. Both of the vertical form fill seal (VFFS) machines come with famous brand PLC control system and large touch screen, and are thus easy to operate. C.	The vertical packaging machine makes use of film drawing down system and horizontal sealing controlled by servo motor. D.	The solid packing machine and large solid packing machine minimize the loss, by use of auto alarm design. 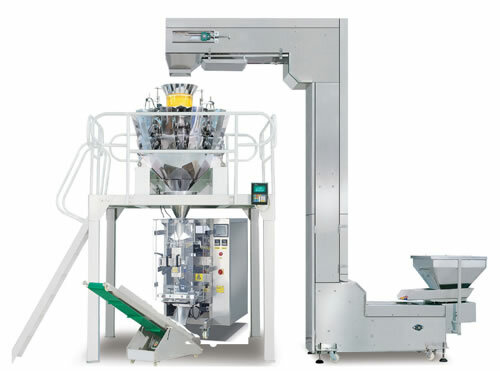 E.	Equipped with feeding and measuring devices, the vertical form fill seal machine accomplishes feeding, measuring, filling, sealing, date printing, charging (exhausting), counting, and finished product delivery, in a continuous flow. F.	As to the way of bag making, the VFFS machine can make pillow type bags and standup bags as per customer needs. RezPack is an ISO9001 certified, leading manufacturer of solid packing machine and large solid packing machine, located in China. Since it was founded, RezPack strives to provide high quality vertical packaging machine for worldwide customers. The staff is able to guarantee reliable quality and stable performance of the VFFS machine by manufacturing in strict accordance with related operating process. The high quality, CE certified, competitively priced RezPack products are well received by customers from many different countries and regions of the world, such as the US, Canada, Australia, New Zealand, Mexico, South America, Europe, and the Middle East, to name a few. The staff at RezPack welcomes global buyers to try its products, and is looking forward to working with more international customers.